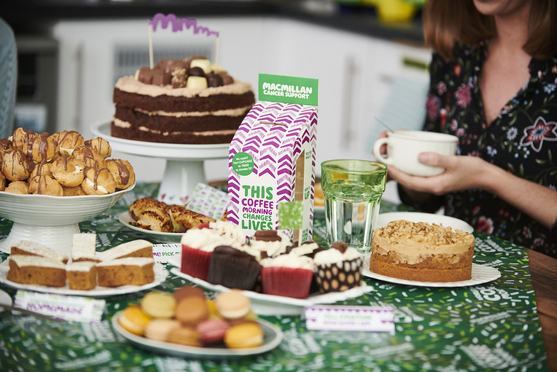 To all of you who hosted your Coffee Morning, your way - you’ve done something truly amazing. Thank you. It's quick and easy to pay in your donations so that the money you’ve raised can help people living with cancer live life as fully as they can. Haven't hosted your Coffee Morning yet? Whether it's a Facebook event, personalised invite or a pin on our map, there are lots of easy ways to tell your guests about your Coffee Morning. Get your baking off to a great start with our tasty recipes and some delicious celebrity bakes. We’re proud to have M&S as our headline partner for the ninth year. Find out how customers and colleagues are supporting Coffee Morning this year.